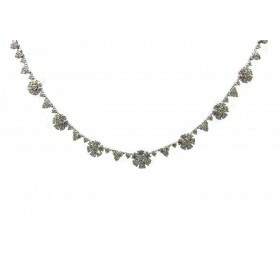 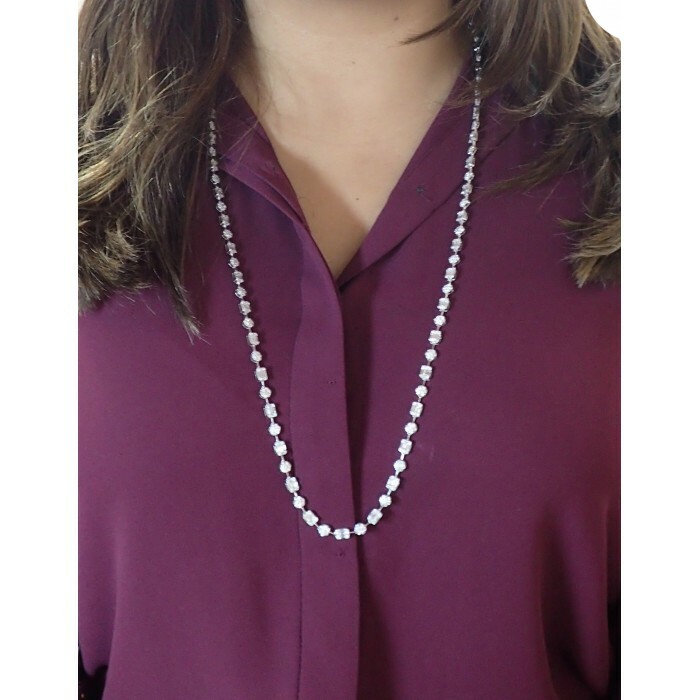 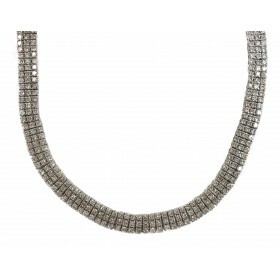 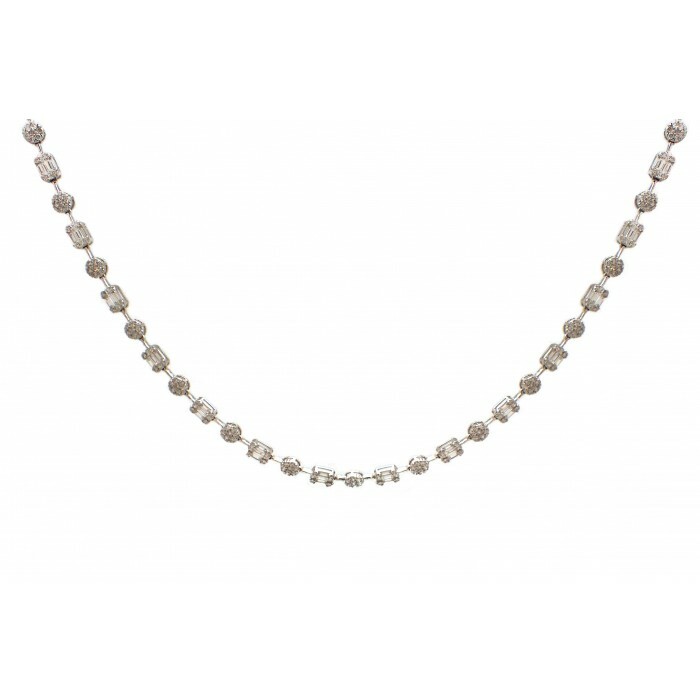 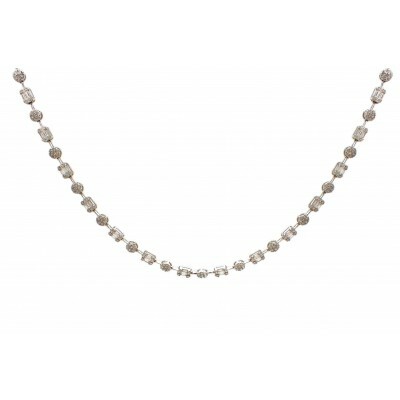 This stunning necklace featuring alternating round and rectangular segments can be worn opera length or doubled up. 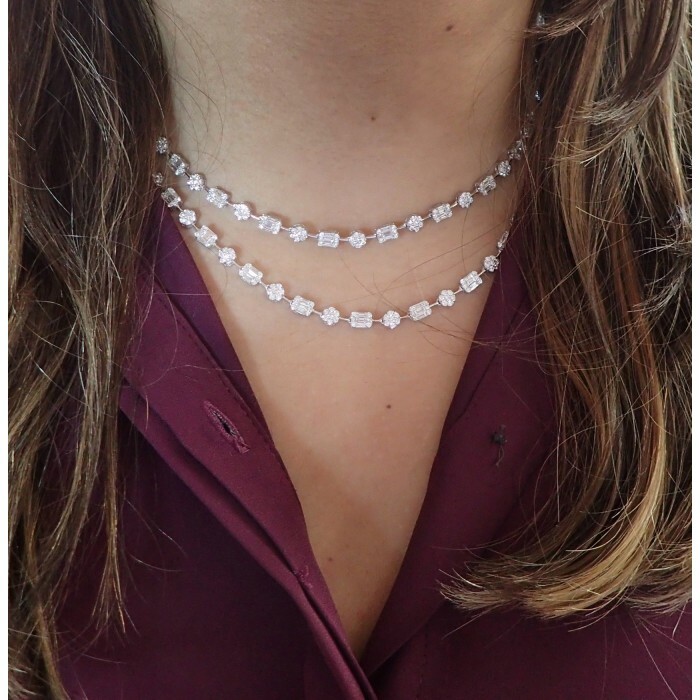 The rectangular segments are made up of multiple straight baguettes. 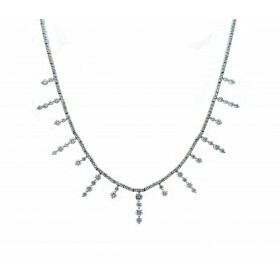 The round segments are made up of clusters or round brilliant diamonds. 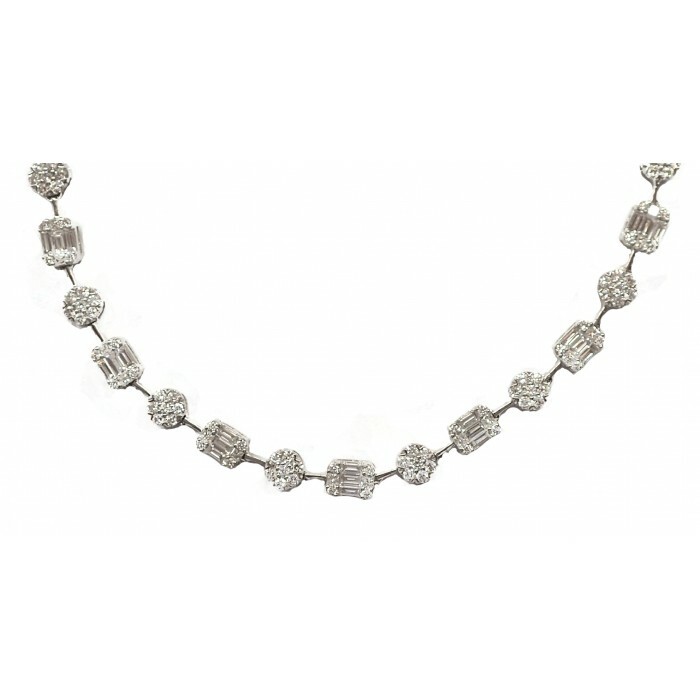 With over 14CT of diamonds, this necklace is sure to impress!